Mess' slabs usually act like the unruly child versions of paintings. 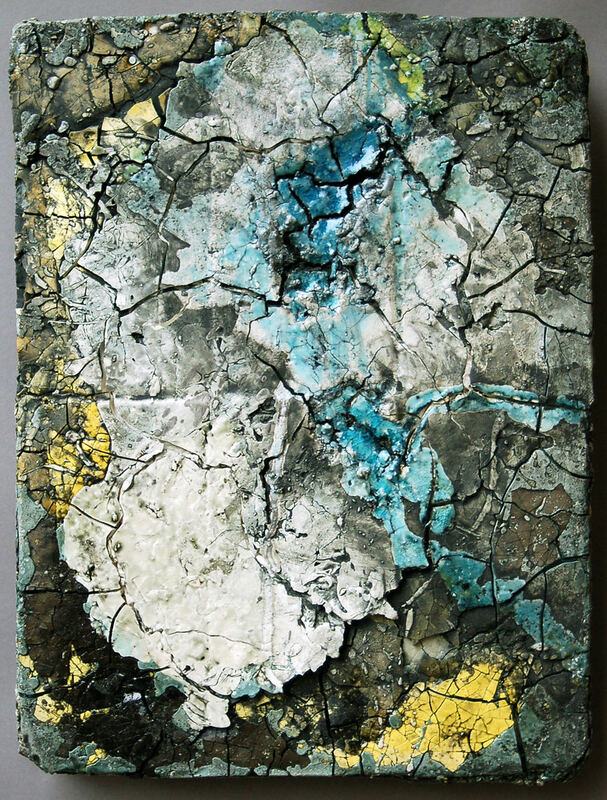 Their lines are wild, and their surfaces are varied and thickly textured with glazes, slips, fissures and irascibly independent materials that refused to be melted into line. 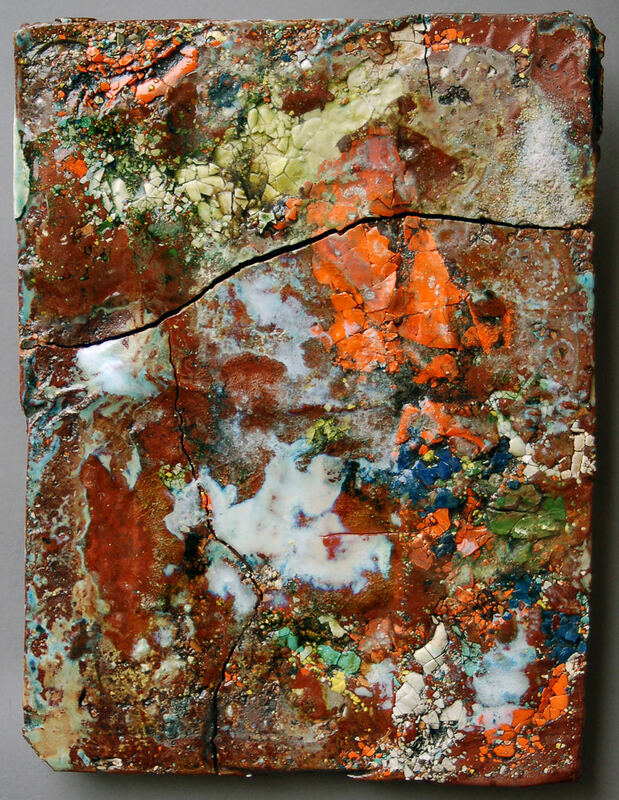 This series of ceramic tiles is the result of experiments in surface, color and glazes, influenced by cartography and topography. 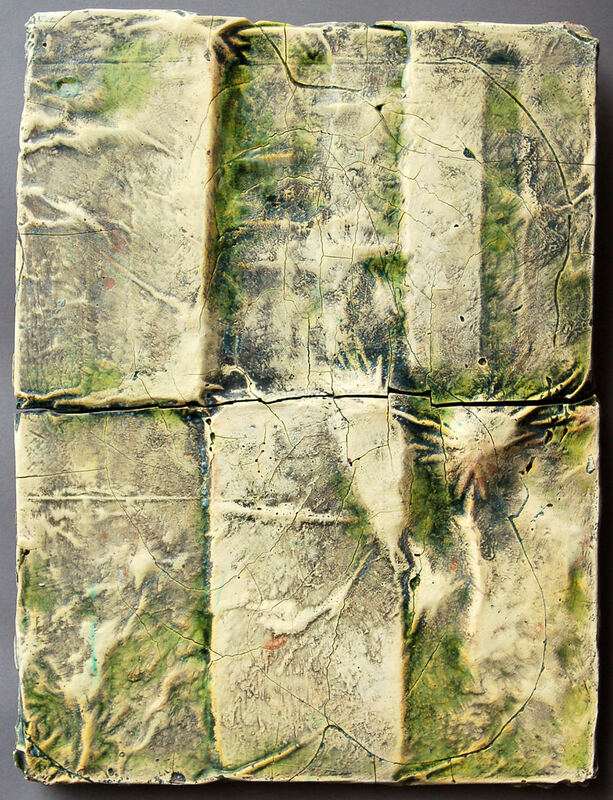 The surfaces of the tiles represent a single layer that made up the Landfills, and inspired that series. They do not represent actual maps, but reference the visual styles, colors and shapes used in textbook mapping. The tiles maintain a physical resemblance to earth in mass, as well as surface cracking and layer separation resulting from the processes of their creation.